Do you have a big event, travel, a must have or emergency type situation? 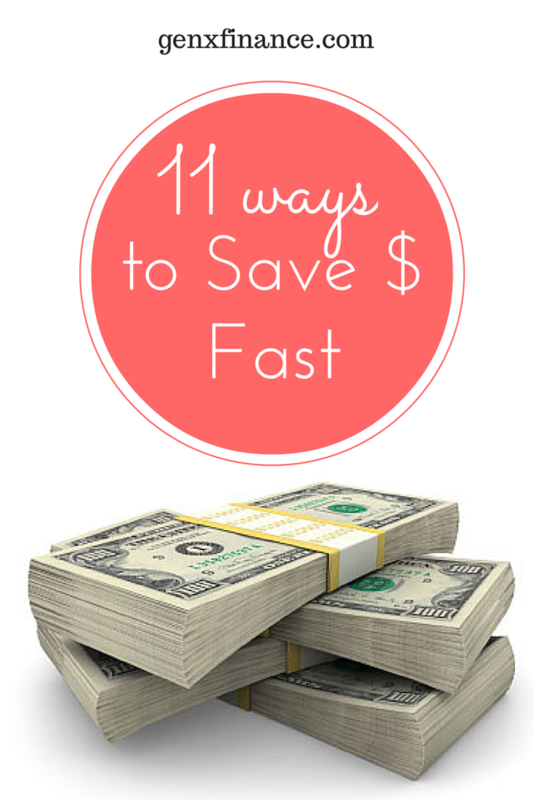 Here we listed some quick fixes that will show you how to save money fast. Tips that will help you now and some that will keep saving you money in the future. 1. Electricity is most likely the biggest utility you have, and it is the easiest to control. Turn out the lights, turn down the heat, and unplug. Unless you are scared of the dark, use a lamp or two instead of the overhead lighting. If your chargers, televisions, and computers are plugged in, they consume energy in their standby mode. It is a small inconvenience to plug in a cord to save money, or use a simple power strip to turn on several electronics at one time. Use ceiling fans to circulate your heat or cool the air. Set your thermostat to lower in the winter and higher in the summer when you leave the house for the day. 2. Date night does not have to be routine or expensive, like dinner and dancing. If you put in a little effort, you could come off like the greatest date ever. Try a picnic dinner while stargazing in a park, or watch a movie you borrowed from your library or friends. 3. Doing your laundry uses a lot of energy or coinage. If you just need a few things washed to get you through the week, simply hand wash them. If you put your clothes on their hangers, and allow your clothes to air dry, you will save both time and money. 4. Cut out the morning coffee stop. Buying specialty coffee every workday will cost over seventy dollars per month. You can buy one can of coffee, three bottles of creamer and a bag of sugar for less than twenty dollars. If you cannot live without your flavored coffee the local barista serves you, buy a small bottle of the syrup from a grocery store. 5. Bottled water costs over a dollar per serving, so refill your empty water bottles with tap water for about ten cents each. This puts thirty dollars in your pocket, and you’re recycling. 6. If you absolutely must socialize after work, look into finding a local happy hour. Most chain restaurants have half price appetizers and drink specials. Be sure to leave when the special ends. 7. Discount and dollar stores sell many of the essentials you use every day, and they sell it for less than your typical grocery store. They regularly stock items like canned vegetables, soaps and paper goods, and their stock is usually name brand products. You might be able to find even larger discounts if you get into the extreme couponing. 8. Eliminating just one dinner out will save you at least twenty-five dollars per person. To save money dining in, you need to take inventory of your pantry. Design a weekly menu that uses the cheap healthy foods you already have. You can use an online recipe site to work out a recipe for you using the ingredients you have on hand. Adding simple staples to your grocery list, like potatoes, pasta or beans, can go a long way in stretching your budget. 9. Use cash not cards when shopping especially if you are a shopaholic. Seems illogical, but the truth is, a credit or debit card is easy to hand over without realizing the immediate loss. If you are going to the store or restaurant, carry only the cash you intend on spending. When you find your wallet is getting thinner, you will put back that extra candy bar. 10. Selling your car might seem extreme, but you need to save money fast, right? If you really need transportation, try a scooter or motorcycle. They cost less to operate than a car, and your maintenance bills will be lower. If you can manage bicycling to work safely, you can save on gas and auto insurance premiums. 11. Gifts can be hard to manage when you are trying to save money fast. Homemade does not have to involve a macaroni birthday card; you can do a lot better with just a little time. Easy projects, like creating homemade goody baskets or photo albums, are fast and simple. If you are all thumbs, and can’t create something nice, you can always recycle a gift. Make sure the recycle gift has no chance of getting back to the original gift giver. You are trying to save money, not lose your friends. Learning how to save money will take some time and adjustments to your routine, but it is possible. Just telling you how to save money fast does not put cash in your bank account. You have to set a goal, and you must follow through. Every tip you use is money in your pocket. If you are interested in seeing more money saving tips check out my last post on topic. 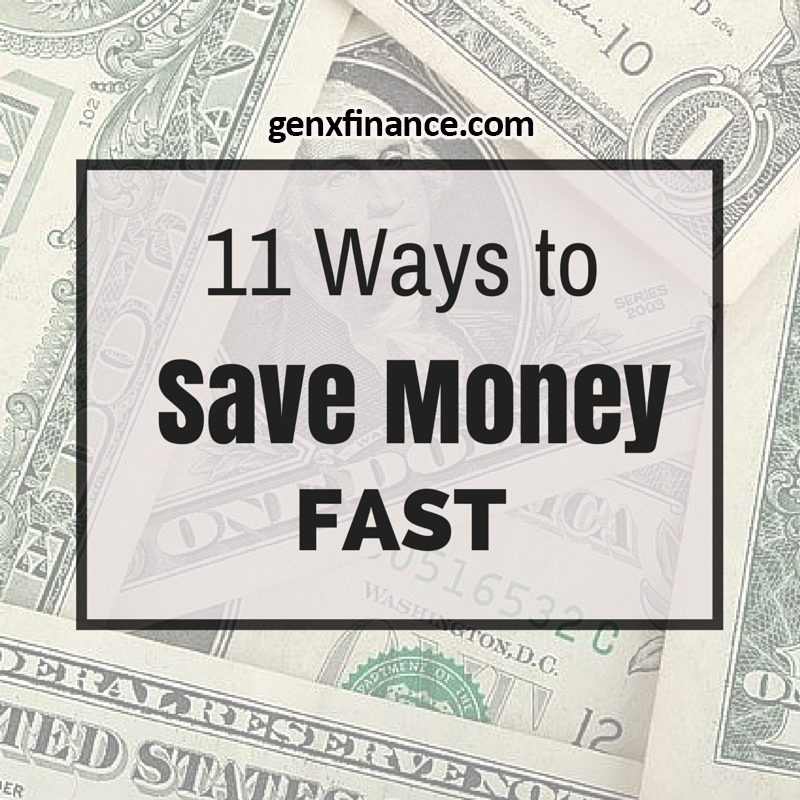 So when you think about how to save money fast, what are some of the first things you think of? These are great money saving tips! It's really important to have a budget and to stick to it, avoid impulse buying as much as possible but not forget to splurge from time to time as this will motivate you to keep the discipline and determination going when it comes to your finances. Great post. With some tweaks to the way I spend money, I can end up saving much more every month. One tip that stands out for me is replacing car with a scooter or motorcycle. It’s a real money saver. When it comes to eating out we run end up ordering out a lot on the weekends but we've been getting better at getting creative and eating from home more and more, and if we do order out we plan statically so we don't over spend. Woah! That was real crunching and biting, however, very good tips to save. I feel I’ve already saved quite a lot after reading your blog. Will try out a few at least to begin with. Nice tips and will try following them. This was definitely helpful. I need to learn to save money in as many ways possible. Thanks. Great solutions! I think its very tough to follow this things. Staying away from stores saves tons of money as long as you don't spend the time surfing Amazon. We can also usually find something to sell on Ebay. 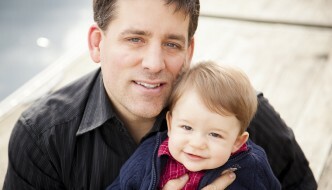 With a growing child, there is always something that is too small and needs to be purged. Great tips! We do many of them in our home and it all adds up over time. Washing in cold water uses VERY little electricity. Run full loads, and the $.25 you spend will be worth WAY more than the hour and a half of your time it would take to wash it all by hand. We set reasonable budgets on everything and stick to them. We don't need to go to extremes because we don't have debt aside from a mortgage and we live beneath our means. Electricity bills are really a pain. We are trying hard to change our habits to reduce the energy consumption at home. We also get the kids to do the same. I was wondering if I can have my bills assessed to see if there are any room for savings. I'll just give it a try.